Gear Pump Skids | ProFlow, Inc. 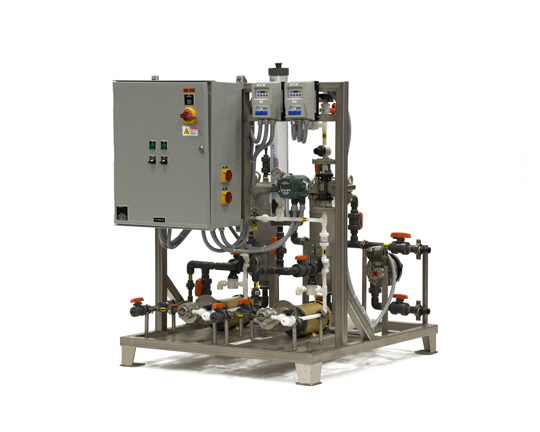 The ProFlow DMS and TMS Series metering pump skids are a cost effective alternative to expensive on-site pump installations. 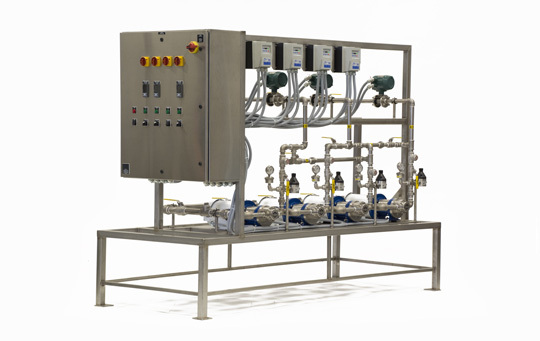 These compact, reliable skids offer precise metering of fluids. With pressure capabilities in excess of 300 PSIG, they offer a solution for most metering applications. Gear Pump Skids are available in standard duplex and triplex configurations. These systems are excellent for use with viscous non-abrasive products. 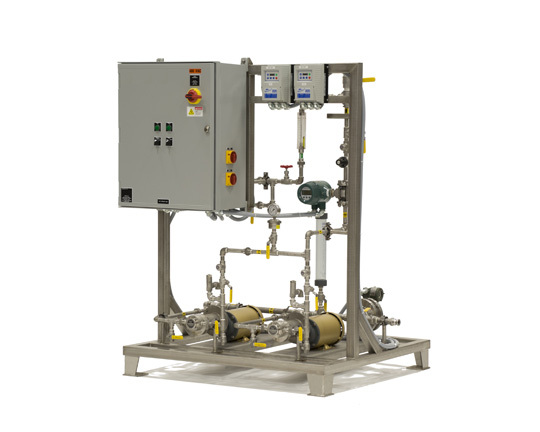 They range in standard sizes from 1 GPM to 30 GPM and discharge pressures to 300+ PSIG. Pumps from 1-20 GPM are close coupled design, with no coupling alignment required. Standard skids are supplied with variable speed drives in NEMA 4 enclosures. 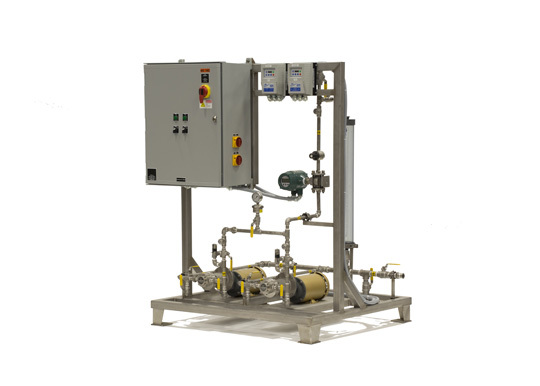 These skids feature compact designs, stainless steel frame, and piping, magnetic flow meters. These skids are pre-piped, pre-wired and ready to operate. Each pump is fitted with a pressure relief valve.